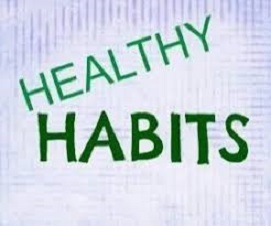 What are your health habits? What do you do when you’re sick? ♦ Push yourself to the limit of exhaustion? ♦ Run on little sleep? Take a personal inventory of your health habits from the beginning to the end of each day. Review the list and prioritize them from most important to least important. Then, look for problem areas – habits you don’t have but need to really make a difference in your life. To change health habits, we must be willing to stretch outside our comfort zone. Rewards are gained by stretching out beyond what is comfortable. We can’t keep the same old, poor habits and expect better health. Many people have never even thought about trying chiropractic for nagging, recurring health problems, such as headaches, asthma or stomach troubles. Since chiropractic improves the body’s nervous system function and interrelated spinal health, many recurring health problems are helped greatly with chiropractic care. What does this mean for your health? It means you might not need to rely on drugs or medications to feel good. Instead, you can choose chiropractic care, which leads to improved health. As you begin to feel better, you are more likely to get in shape because it is much easier to exercise. Also as you begin to feel better and your body feels alive, energetic and healthy, you have a greater motivation to take time to eat better, too. Maybe you’ve thought often about trying chiropractic but just didn’t push yourself to seek something different. Let the new millennium bring better health! Let chiropractic help you create it!